At Cornerstone Homes, we are dedicated to meeting a higher standard. A higher sense of community between neighbors. A higher quality of homes built. Overall, a higher standard of living for our homeowners. We could not accomplish this caliber without the hard work, dedication, and passion of every single one of our team members. We are happy to share that we are starting a monthly ‘Team Member Moment’ to give you a moment, or two, to personally get to know the people that will be building your new home! Our first Team Member Moment highlights our vibrant and high-spirited Construction Superintendent - Kevin McElroy! If you couldn’t already tell by Kevin’s smile, he lights up every room he walks into. Kevin has been working in construction for over 27 years, 25 of those as a superintendent. Along with that accomplishment, he was recently awarded the 2017 President’s Club Award for the most homes constructed. From apartments and condos to single-family homes, Kevin has worked on it all. His passion for building the space where people will create memories is showcased in every single home that he completes. 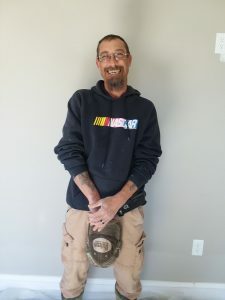 As a company, we know that our homeowners value their freedom and their ability to enjoy a carefree lifestyle, so we asked Kevin what he enjoys to do in his free time... Kevin, aside from being an avid hockey fan and fisher, is a huge family man and loves to enjoy his hobbies with his family by his side. He supports his local community and spends time with his friends at restaurants in the area. Along with lifting everyone else’s spirits on the job site, Kevin is also a spirited man when it comes to religion. His values even further connect him to the sense of community and feeling of HOME that he aims to create with every home he works on. Currently, Kevin is completing our nationally recognized, Villas at Ashlake, community. Aside from building, there is nothing that makes Kevin feel more fulfilled than the words of happy homeowners. 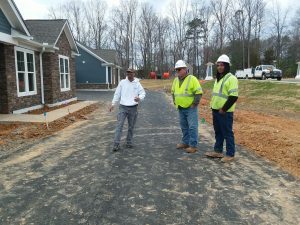 If you’d like to stop by to see the progress on these communities and discuss your opportunity to become one of Kevin’s happy homeowners, please reach out by contacting us! 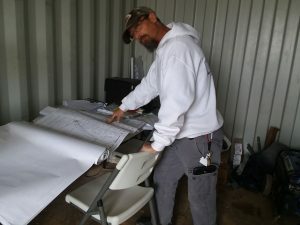 Thank you, Kevin, for all that you add to Cornerstone Homes!